SPURS TO WIN PIENAAR RACE? Everton midfielder Steven Pienaar will chose Spurs over Chelsea in January, with the midfielder set to seal a £3million switch. The South African international, who is out of contract at the end of the season, seems certain to depart Goodison Park in the New Year after rejecting a fresh contract offer from the Blues. Everton accepted a bid in the region of £3million from Chelsea for the midfielder yesterday but talks between Pienaar and the Stamford Bridge side broke down and Spurs have now emerged as the leading contenders to seal a deal. Tottenham are prepared to smash transfer records to land Andy Carroll. Spurs boss Harry ­Redknapp and ­chairman Daniel Levy are refusing to take “no” for an answer as they step up their £30million bid to prise the 22 year-old England international away from Newcastle. The Toon dressing room is awash with talk that Spurs will make their move for ­Carroll this week. Previous attempts to interest Toon owner Mike Ashley with cash plus players such as Peter Crouch and Robbie Keane were rebuffed. Sources close to Ashley have insisted the club will not cash in on Carroll at any price. 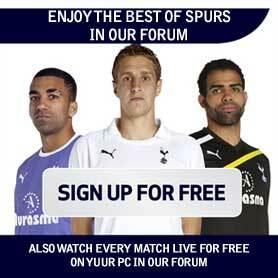 But Spurs plan to put that statement to the test. The north London club are clearing the decks for a massive cash bid that could even exceed the previous highest fee for an English striker – the £25.6million Manchester United paid Everton for Wayne Rooney in 2004. KEANE TO BRUM OR HAMMERS? West Ham are confident of pushing through a cut-price deal for Robbie Keane after emerging as favourites to sign the unsettled Tottenham striker.’ ‘With the 30-year old reluctant to uproot his family and in no mood to be dictated to by Tottenham over any decision on his future, West Ham chiefs are hoping to land him for barely half the £8million Birmingham were initially quoted.’ Birmingham have reportedly had a bid of 6m for Robbie Keane accepted by Tottenham. The club will initially pay 4m for the Dubliner, with that fee rising by Stg2m when various clauses are taken into account. Keane has yet to discuss personal terms with Alex McLeish and co., though he may choose to move to the Second City after falling down the pecking order at White Hart Lane. Harry Redknapp has admitted it is unlikely that David Beckham will turn out in a Tottenham shirt. The Spurs boss says that he will scrap any attempt to sign the former England captain if LA Galaxy continue to insist that he returns to them by the middle of February. The new MLS season starts on March 15th and the Galaxy want the 35-year-old back with them as soon as his training spell ends with the Premier League club on February 10th. VabbÃ© ma allora ditelo:The Pegasus's three Orion solid motors were developed by (…) Most of the Pegasus was designed by a design team led by Dr. Antonio Elias. The wing was designed by Burt Rutan.